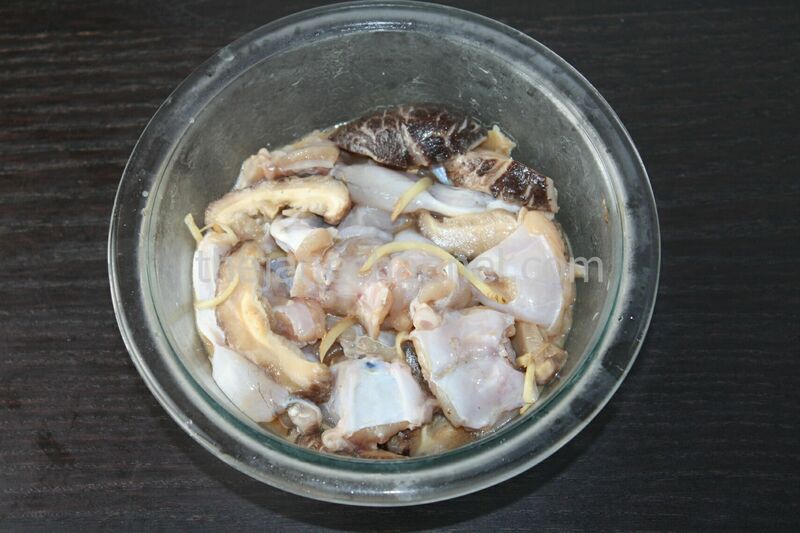 For those who have not tried frog meat before, it is similar to chicken except being more tender and delicate; it does not taste gamy at all. It contains no cholesterol, is low in fat and high in protein, making it one of the healthiest animal protein choices out there. 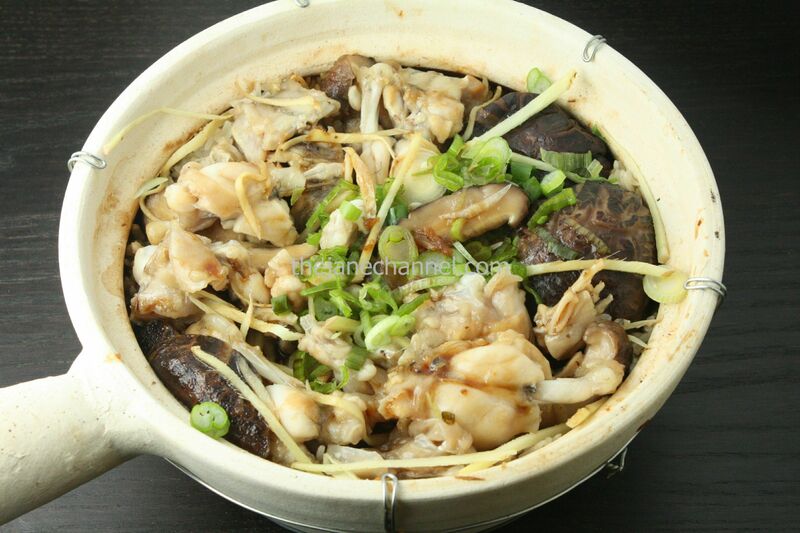 A classic Chinese dish made with frog meat is with shiitake mushrooms and rice in a claypot. A claypot rice, along with steamed greens, is usually a complete meal. Once all the rice is eaten, the crust may be eaten as is or more usually hot water is added (or a light broth) until the crust expands and loosens and eaten as a soup. Soak the mushrooms in about a cup of warm water for 20 minutes, or until they are softened. Drain and reserve the water. Cut 4 of the mushrooms into strips. Set aside. Marinate the frogs and mushrooms with corn starch, soy sauce, 1/2 of the ginger strips, salt, sugar, wine, garlic, sesame oil for at least 30 minutes. Turn the heat to high and add frog meats, mushrooms and ginger strips. Cook over low heat for 10 minutes. Add scallions, remaining ginger strips and drizzle sweet soy sauce mixture over the rice to serve. i like frog’s dishes very much.especially the bharta made of frog has a very spicy taste.it is a very good dish and liked by chineese mostly.